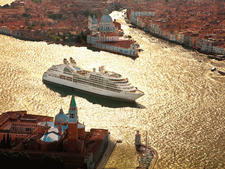 Seabourn Cruise Line was founded in 1987 to compete in the ultra-luxury cruise market. It was originally intended to be named "Signet Cruise Line," but a ferry company in Texas owned that name and refused to give it up. Seabourn's first voyage was in November 1988 on the newly built Seabourn Pride. That ship was followed by a twin, Seabourn Spirit, in 1989. In 1991, Carnival Corp. purchased 25 percent of Seabourn and an additional 25 percent in 1996. That year, the line added a third sister ship, Seabourn Legend. In 1998, a consortium, which included Carnival Corp., purchased Seabourn and merged its operations with Cunard Line, and added three of Cunard's ships to the Seabourn fleet. 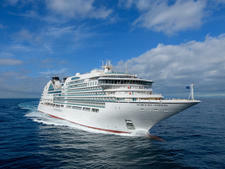 Carnival Corp. bought the company outright in 1999 and Seabourn became one of its "world's leading cruise lines." It sold or transferred the three Cunard ships, returning the fleet to the original trio. Carnival's Cunard operations separated from Seabourn's in 2004, and Seabourn operated independently from other Carnival Corp. brands. The line then decided to increase its fleet again with three, nearly identical 32,000-ton, 450-passenger vessels. 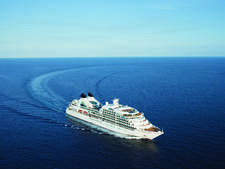 Seabourn Odyssey, Sojourn and Quest debuted in 2009, 2010 and 2011 respectively. In April 2011 Seabourn underwent another major shift as Carnival Corp. moved its operations under the umbrella of Holland America Line, another of the cruise conglomerate's brands. 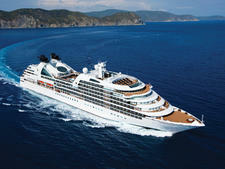 Seabourn is based at Holland America corporate headquarters in Seattle. In February 2013, Seabourn halved its six-strong fleet when Windstar bought its three original vessels. But the fleet did not remain a trio for long. In 2016, Seabourn debuted a new, larger ship -- the 450-passenger Seabourn Encore -- and followed it up with a sister, Seabourn Ovation, in 2018. The same year, the line announced plans to introduce two high-end expedition ships to the fleet. The 264-passenger new-builds are scheduled to enter service in 2021 and 2022. Onboard, Seabourn is at the top of the luxury cruise game with intuitive service, superb cuisine, relatively inclusive extras (no charge for cocktails, coffees or fitness classes), and an atmosphere that is elegant -- but unpretentious. All cabins are suites, and they are well equipped with designer soaps, and all the latest and greatest amenities (flat-screen televisions, Bose Wave sound systems, and so forth). A complimentary bottle of Champagne greets you in your cabin. Bar drinks are complimentary and refilled promptly. With an abundance of public space and few fellow passengers, you might feel you have the vessel to yourself -- no annoying crowds or lines here. Highlights include a restaurant by Michelin-starred chef Thomas Keller, an exclusive show highlighting the works of Tim Rice (with video appearances by the lyricist himself) and a wellness program developed by Dr. Andrew Weil. Seabourn's Odyssey class ships, while appealing to a broad mix of ages (from 40-something and above), offer a variety of itineraries from the offbeat to more mainstream calls, in order to have a broad appeal and continue to attract new passengers to the line. While most of your fellow passengers are likely to be American, Seabourn appeals to travelers from a variety of countries, particularly the English-speaking South Africa, Australia and Great Britain, among others. All are likely to be well-off and well-traveled. Sister ships Seabourn Odyssey, Sojourn and Quest are three of the most luxurious ships afloat, featuring numerous contemporary amenities, such as vast open-deck sunning and pool areas, a variety of restaurants and spacious 300 square-foot standard cabins. Private balconies and expansive suites are plentiful. With a capacity of 450 passengers, the ships are by no means too big; they can still access many of the world's exotic ports, especially those that large ships cannot get into. Hallmarks of Seabourn include superb, intuitive service; high-quality cuisine that includes innovative and traditional dishes; and a more inclusive experience, in which cocktails, coffees and spa classes are included in cruise fares. 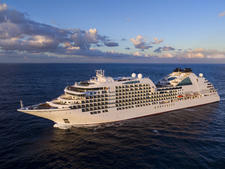 Seabourn Encore launched in December 2016, and Seabourn Ovation followed in spring 2018. Both are part of the line's Odyssey class. The 40,350 ton, 604-passenger ships are larger versions of their Odyssey-class sister ships and have 12 decks, as compared with 11 on the other three ships. The extra deck will allow the ships to house more than 150 extra passengers in the ships' all-balcony suites. Other new additions include expanded public areas and updated design throughout the ship by noted hospitality designer Adam D. Tihany.